Hope you all having a wonderful weekend! This is a quick post on what I wore yesterday. 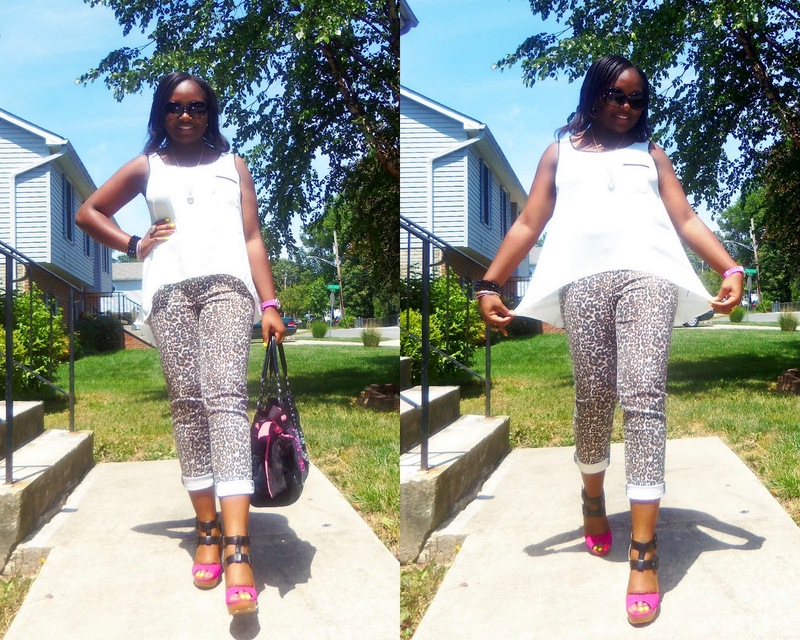 I paired a leopard-print cropped jeans with a high-low tank top. This jeans was only $9.99 believe or not. The original price was almost $50; it is from the American Idol Collection called Authentic Icon only at Kohls. I love finding deals like this. Have you ever found any goodies like this for almost 80% off? Thanks for stopping by and have a restful Sunday! I did too! Thanks Heather for the comment.